Paul Wright, B. App. Sc (Physio), Dip. Ed. (Phys. Ed. ), Adv. Dip. 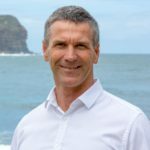 Business Management, built his Australian physiotherapy practice from one clinic to two clinics, back to one clinic, then up to six clinics before selling them. How did he do it? Easy – systematizing (“E-Myth Revisited” by Michael Gerber) and managing by statistics. Lo and behold, he jumped from one to six clinics in a couple of years and managed them all from home, only spending a couple hours each week in his clinics. Paul now shares his insight via coaching, his website, www.HealthBusinessProfits.com, and his new book, How to Run a One Minute Practice. He shares his story with us, his challenges, and how he did it all on today’s podcast. I have the opportunity to interview my first foreign physiotherapist, Paul Wright from Australia. I’m excited to bring him to you because he’s got a book called How to Run a One Minute Practice. I thought, “I’ve got to talk to this guy and see what his secret is.” A little bit about Paul. He’s presented to thousands of clinicians and healthcare professionals around the world in the areas of program design, injury prevention, rehabilitation and business development. In between all that, he found time to even win a few titles as a competitive bodybuilder. Ultimately, Paul is proof that you can have an ultimate health business lifestyle. At one stage, Paul owned six successful Get Active Physiotherapy Clinics in Australia, yet notes that he was still able to spend more time at home than his wife would have liked. He never missed school concerts or sporting events and visited all of his clinics for only a few hours each week. While doing this, he didn’t even live in the same city as five of his clinics. Since selling his physical therapy practices, Paul now prefers spending time with his family and at the beach. He is also working on his million-dollar health professional program, his million-dollar profit club, doing one-on-one coaching, The Practice Acceleration Program and presenting live seminars and working on his most recent passion, the One Minute Practice Program. You can see all of these things on his website at HealthBusinessProfits.com where you can find offers, tutorials, webinars and plenty of downloads, a lot of resources on his website so check them out. We want to focus on my interview with him in regard to the One Minute Practice Program and what he does to quickly assess the health of any clinic. In the end, he’s going to note that if you go to OneMinutePractice.com, you’ll be able to get the book that I mentioned fairly cheaply, especially if you enter the code, Nathan, when you go to purchase the book. You’ll get a good discount off of the How to Run a One Minute Practice book. We have Paul Wright, a physiotherapist from Australia. Across the pond, some like to say. I guess they say that about England, but we can say that about Australia too. He’s got a great theory and practice and the success story that I want to share with the audience. First of all, I want to say thank you for coming on, Paul. I appreciate it. I’m happy to be here. I love connecting with health professionals and self-businesses around the world. Any time I can provide some value, I’m always interested. Can you tell us a little bit about your story? How you got into physical therapy in Australia and what got you to where you are now? I grew up in a small country town. I was about six hours northwest of Sydney out in the outback as we talk about in Australia. There are not many people, about 3,000 people in the town. We didn’t even have a physical therapist or physiotherapist in the town, so I didn’t even know about that profession. I was interested in sport and the only logical thing for young growing in a country town is to become a physical education teacher. I decided to go to Newcastle University on the East Coast of Australia and study to become a physical education teacher in the school. Like most entrepreneurs, I realized early in life that I didn’t think I could work a job. I became unemployable quickly and realized I needed to work for myself. I came across this physiotherapist. I never even knew what a physiotherapist was. I met a physiotherapist and she told me about anatomy, physiology and injuries. I said, “That sounds pretty cool.” In the back of my mind too I thought, “I can possibly also work for myself doing that.” I applied for a position at Sydney University as a mature age student to study physiotherapy. I got accepted. We normally have a turning point. I’m sitting there on Newcastle Beach with my acceptance from Sydney University. I was thinking, “Do I go or do I not go?” A cushy life as a teacher, good holidays or going to Sydney, which I didn’t want to do. I decided to go to Sydney, spent four years at Sydney University and get my physio qualification. Pretty soon after, I opened my first practice. I got interested in private practice and it wasn’t long before I end up with six practices. In the next couple of years, I expanded into six practices. It took you only a couple of years to get into six practices. It expanded quickly. One of the lessons for your audience is be watching for what the universe is telling you. I’m better at it now than I was then. Here I was in my first practice and I was getting there early, working hard, going home late like most of the audience. A bus kept going past the window of the practice and on the side of the bus it said, “Why most small businesses fail and what to do with that.” I was thinking the universe is telling me something. There was a phone number to ring so I rang the phone number and ended up at a Michael Gerber seminar. Gerber came to see me. 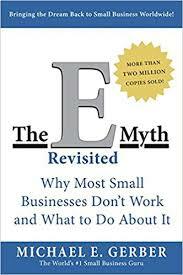 Gerber writes The E-Myth, for those who don’t know. As I was reading The E-Myth, I was thinking that’s me. I’m Sarah the baker in this story, I’m getting there doing everything. I started to systemize the business structure. I ended up trading my Gerber-based franchise prototype and then we expanded that prototype across the six clinics over the next couple of years. You had the individual clinic first, learned a little bit about E-Myth and systematizing your practice and then started spreading them out to the six clinics. I made lots of mistakes but the mistake that comes to mind in this one, and this was common in most people, is expanding faster than your ability to fill those free seats on the bus. It’s the Good to Great Jim Collins principle. I expanded before I had the available label to do it but also when you expand your practice quickly, it multiplies your mistakes and your flaws. I probably wasn’t ready to multiply when I did but I took the opportunity and did it. You had a great opportunity there. You took advantage of it. You franchised some of your systems and you were doing something successful. During that time, what were some of your more painful memories? If you could choose one, what was one of your most painful mistakes? I hired a truck, pulled the truck up at the front, moved everything out of the practice into the truck. Everyone was saying, “Paul, what are you doing? Why are you moving everything out of the clinic? We’ll be open again tomorrow with a different owner.” I said, “When we open, I’ll move everything back.” From a pumping practice, a day full of appointment books, multiple therapists, that practice shut overnight and never opened again. We never stood inside that building ever again. Everything I took that day was the last thing we had. They didn’t let you back in. It was a close-out and it was rented months and months down the track, it was a liquidation. We couldn’t get access. That’s why I took everything. We had to leave other things. It’s a valuable lesson for the audience, the biggest lesson for you. The most dangerous number in business is the number one. If I have only had that practice, I would have been all sorts. I had two and it wasn’t great, it was half an hour away. We moved as many of our patients to the second practice. We did all we could to manage the damage. I learned then, I will never go to put myself in that situation again. To date, I’ve never relied on one of anything. Never one practice, never one business, never one income opportunity. Never one senior admin person, which I’ve seen and I’ve been caught up in it again. We had a practice manager who was brilliant. She can do everything, as a result, she did everything. The dangerous number is business number one. We expanded to six practices. If you’ve got to expand, you’ve got to have a good system because it multiplies your mistakes. My climb to fame I suppose from the work I’ve done is being able to have these practices but not being at any of the practices. I stopped consulting very early in my business career. I was more interested in everyone else being full. I got more interested in marketing. I was happiest when I didn’t have any patients and everyone else was full. People were saying, “How do you do that? How do you run a business like yours and you’re never there?” I started running seminars and we set the whole business mentor program. The One Minute Practice Program started back in 2010, probably before that. The lesson that I learned is in terms of business, never put a monetary value on your family time. We talk about spending quality time with family. I personally don’t believe quality time exists with a family. A family is quantity time because the great moments happen off the cuff. I remember the story, I was at home one Friday afternoon because I was home a lot. I’ve got four daughters. One of my daughter’s school teacher thought I was a drug dealer, “What does your dad do? He’s in everything. Does he do anything? He’s around.” I’m at home as I often was. My second youngest daughter turned up. She came where I was out on the back deck and looked a bit funny. She said, “Can I sit down?” She dissolved into tears. She doesn’t cry much. She’s not a crier. I consoled her, “Do you want a cuddle?” “Something happened with a boy,” and that sort of stuff and then she has a cuddle. The point is I can’t script that. I can’t have that in a certain time when I’m having quality time with her. It doesn’t happen. You’re going to dissolve at 6:30 into tears and we’ll have a good discussion. I’m not trying to guilt anybody, but the point is your business has to serve you. You are not the servant of your business. The role of your business is to give you more life and eventually to sell that business. That’s what I did. I ended up selling my businesses. That’s the role of it. If it’s not doing that, if it’s not giving you more time with your family, more quality of life, it’s taking away from it. You get a lot of value or a lot of joy out of now coaching and presenting and that kind of stuff. You’re not learning yourself the one revenue stream like you learn from your most painful memory. Not a chance. There are too many things in there that can bring you unstuck. I’ve got a client, he just relocated to another location. The whole practice relocated to another premise. He’s only been there a week or two weeks and the building owner is now selling the building and he’s going to have to move everything in 30 days. This happens in business all the time and you’ve got to be prepared for it, so we could look at it continuously. What are the worst cases? Those things happen and sometimes they can happen for a good reason. One of my earlier podcast interviews was with Jamey Schrier. You know his story, his practice burned down one day and that changed his life for the better. You would think that would drive you nuts. I’m sure it did for a period of time, but it forced him to then go back and reconsider what he wanted to accomplish. There’s an opportunity in everything. With the client whom I’m working with at the moment, with this disaster, what’s your opportunity? We know the new area has some good potential because he’s seen some early signs in the first few weeks that it’s a good location. We’re going to do better in that area. We’ve just got to find a different space for him. It’s better that it happens now than it happens in two years’ time when he’s probably consolidated his location and everything else. There is an opportunity and we’ll do well out of it. The opportunity I had when that business closed down, I moved into my second practice. That second one was taken over by another larger gym chain that I was involved in. That led me to follow on their cut titles because they were expanding rapidly, and they wanted me as part of it. That led to my expansion anyway so there’s always a positive. Let’s not forget that that was a painful time for you but then it led into a business relationship with this gym partner that led into six more practices. There’s an opportunity in everything. One of my mentors said, “No matter what happens, your response should be, ‘That’s great.’” What am I going to do as a result? “That’s great.” There’s something that will always happen as a result of it. You mentioned a couple of books, Michael Gerber’s and Jim Collins’, but a lot of the more influential business books have a lot to do with changing the mindset. 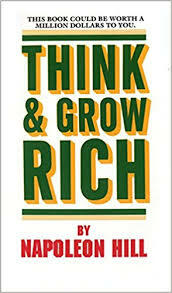 Napoleon Hill’s Think and Grow Rich, there’s a mindset to it as well. When you have your purpose figured out and you put some organized planning behind it, nothing can get in your way. You just look for opportunities on a daily basis. That’s also your belief system. What are you carrying into? I always carried the belief system that the business’ job was to serve me. A lot of health professionals, you’re a quality professional and you want to give a great service. You don’t run your practice from what the patients want. For example, one of the things we talk about in our programs is doing a block booking, booking a patient in multiple consults in advance. You come and see, in clients I work with, you’ll be part of a treatment plan. That might be twice a week for two weeks or whatever it is. It’s a plan for treatment. The patient doesn’t choose to book session by session in advance, it’s not an option. If you don’t have a system for selling, you’re at the mercy of your client’s system for buying. That’s how we do it here in XYZ healthcare. We will do an assessment then we’ll book multiple sessions in advance. You will get your cost of care booked out and planned. You get the session you want, and you’ll get the best outcome doing it. That’s how we do it here. If it’s not done that way, then you’re in the wrong place. It’s conditional on you being a client. This is what you’ll do. You turn up on time, you pay your bills, you refer your friends. That’s how you do business with us. That’s how a lot of private practice owners are losing money. The patient is being presented with the plan of care in the first place and then not maintaining that plan. They’re losing out on hundreds of thousands of dollars a year because they’re not following plans of care. That’s your fault. You didn’t structure the conversation well enough. You have a moral obligation to get that patient into your treatment room and your hands on them as many times it takes to get that outcome. Otherwise, you’ve done them a disservice. My favorite expression and I suggest your audience use this. When you’re making recommendations, the most powerful thing you can say to a patient is, “If you are my.” “If you’re my mom, this is what we’ll be doing. If you’re my son this is what we’ll be doing,” whatever. That takes every other discussion out of the equation. Money is not all it is about. It’s about giving that client the best outcome. “If you are my” solves it all. That’s a script that I would encourage every health business owners to use. Then you’ll occasionally get the person who says, “I don’t like to be scripted.” If you sit there and listen to that person, they are saying the same thing over and over again to all of their patients. They’ve got a script. It’s probably a crappy one. They scripted that already, there’s no difference. You’ve got to give them a better one. That’s one of the key parts about the One Minute Practice Program. I launched a program called One Minute Practice. Essentially, I looked at how I was structuring my business. 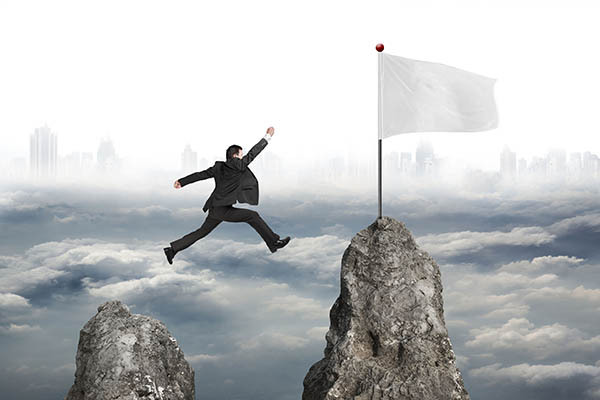 We talk about critical success factors in all businesses. Most businesses come down to five to eight critical success factors. If you get those five to eight things right, your business is fundamentally sound. Inside the One Minute Practice program, I look at how I was running my businesses and how I replicated them. As I started mentoring my clients, I started using the same systems and practices. They became very concrete in my mind. We ended up with eight. One key part of that process is what I call a new patient register. We started doing this in the very early days of my health businesses. It’s simply a tracking system that lets you know that the key things were done in your business when a new patient arrives. Imagine an Excel spreadsheet. You’ve got the dates on the left-hand side. We have the patient’s name, the therapist name, the admin person’s name and maybe referral source and where they came from. Then thinking your business about what are the key actions or key steps that need to happen to that new patient in their first couple of visits or first few weeks with you. If I’m looking at one of my clients let’s say a new patient. Paperwork completed, yes or no, email added to email database, yes and no. Things that have to be done. One of the most important things for your audience and every business owner can do in healthcare is to have an action plan. In the chiropractic world, it’s a report of findings. It is a simple one-page sheet that you do your assessment or history with a patient. You sit down next to the patient. Once you have done the history and examination they say, “Let’s sit up, let’s get to what’s going on here.” You outline what you found, what you’re going to do about it and that’s the discussion to achieve this for you to get back to your ice hockey in two weeks’ time to make that grand final. “You need to see me twice a week for the next two weeks. We reassess you at the end of two weeks and from my experience, we’ll have you back on the ice with no problems at all. How does that sound?” I’ve written that on the bottom of the form. It may say, “Twice a week for two weeks.” This dawned on me. I’ve got numbers. Twice a week for two weeks, there’s a four in my head. The biggest problem with most health businessmen is when you expand your team, the client can go to you, compare your other therapist, then they get a different recommendation. Someone is twice a week for two weeks. One guy disappears with his exercises and never to be seen again. It’s ridiculous. If I’m not listening to that conversation, if I’m not aware of what’s happening, I have no idea what these other guys are recommending. Then you sit all the time in practice where you might have a huge number of new patients coming to the practice, but their appointment books are empty. How is the senior guy seeing less number of new patients and he or she is fully booked but here comes the guy with all the new patients is empty? Because he’s not rebooking well. I don’t want to wait to see the empty appointment book to know I’ve got a problem. How do I do it? Every new patient gets an action plan. They take it out to the front counter, they present it to the admin team. Maybe Mrs. Johnson got an event coming up. She needs to book in for two sessions to wait for the next two weeks according to plan. You handed that to admin person who then books those sessions. I’ve now got on my new patient register. The column is action plan done, yes or no. That’s one of the fundamentals of business, that’s not a negotiable step. You remove discretion. There’s no choice in that. You do the plan. If you’re working at my practice, you do the action plan. No argument. This is the plan that you’re paying into. Is that something that you have the patient sign off on? Run Your Practice: When you have a structured practice, you have to leverage ordinary people with great systems. We give it to the patient but the patient sitting next to us know what we’re discussing. This is a collaborative approach, “How does that sound?” Then we talk about it. Often the discussion in this is, “What if I said I can’t afford it?” In business, this explanation of your plan is a critical conversion conversation. There are a number of those in your business but if you get this one wrong, you’re in all sorts of trouble. This is where the physical therapist usually falls short. We never learn this in university, no one taught me this. The person says, “I don’t know if I can afford it.” I explain to them that my job is not to tell you what you can or can’t afford. I can only tell you if you are my son, this is what I’ll be recommending, this is what we do to get you back on the ice in two weeks’ time. That’s a trained script. I’ve got a sheet of paper that I can then give to the patient. I can copy that at the front desk, the patient takes that away. Then on my new patient register, I can see all of the therapists. Have they done the action plan? It’s a yes or no on my new patient register and what was recommended. I added another column because I’m not happy with just that. I want to know how will the admin team do the booking for those four consultations. You might have been great in the therapy room but the admin team lets you down. I want that number, I’ve now got two numbers next to each other. I’ve got action plan done, yes or no, which is going to be yes. I’ve got consults recommended on plan which is a four, for our example. I’ve consults booked, how many consults have booked at that time? As a distant owner, if I want to run my six practices remotely, I have to be able to log into this new patient register and scroll my eyes down it. I continue now to do with my client in less than one minute. You can see if everyone’s on the same page. I’d do my private mentor clients one day a week. I log in to One Minute Practice before I coach them, and I’ll have a look around. In one minute, I could see what happened to Mrs. Johnson yesterday. Why didn’t I get an action plan? I’m concerned your admin team had dropped the ball here. We’re recommending sixes and sevens but they’re only booking ones and twos, there’s a problem. I can see that from anywhere in the world and I’m not even in the practice. That’s the most important thing out of what I did. That critical conversion conversation becomes a key part of your training system inside your business. Every new patient action plan, a sheet of paper gets put into your owner’s folder. They print off a copy, give a copy to the patient, another copy goes in the owner’s folder. Every few days, every week, whenever you are there, you grab that folder and you look through them. You see what the team are recommending, you have an idea about what they’re doing. I suggest very regularly, you do lots and lots of team training on delivering those action plans. You’ll have a meeting even once a week. You’re a therapist, bring me the last four action plans and present them to me and you role play. That’s the most important training you can do as a health business owner. That is the key clutch moment. At least if they make it up, they make it up each time until they do it. One suggestion for you, when you do a new patient register, don’t make it too big. Put the good things first. Make sure there’s an action plan. Make sure it’s the consults recommended. One of the things I do suggest you put in, I do like a referral thank you call. You like to have a column in there that’s referral thank you call made, yes, no or not applicable. Let say that came from another current patient. I want my team member to ring that referrer and thank them, “Thanks for sending your mom in, that means a lot to us. How are you going with your injury?” Without that step, we don’t know if it’s done or not. This is not a practice management software. This is a process. Was it done or not? I don’t know that without a new patient register. The other thing too, when you launch this, the other mistakes that you make is not being 100% all over it being completed. We talk about moving discretion. In my book, I talked about the example I had at my business where there was only one situation where a new patient at one of my practices did not get an action plan written out for them. There was only one time, there’s only one situation that it was ever allowed to happen. The situation was if the patient died during the consultation. I purposely wanted it to be that because I would then go and if I saw the new patient register and let’s say Mrs. Johnson, there’s a “No” next to her action plan, yes or no. I’d go to the therapist and I’ll say, “Did you hear news about Mrs. Johnson yesterday?” “What do you mean, Paul?” “I saw the new patient register, what happened? Was it a heart attack?” I would immediately get it. If that happened again, that would be a very serious conversation. This is the other thing we tend not to then enforce consequences. There’s a way, if you put a step in, you remove discretion, it’s not negotiable. 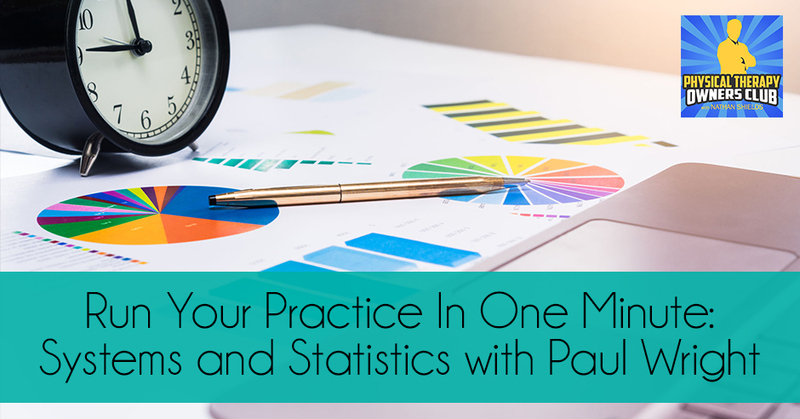 I’m happy now some people say, “Paul, your One Minute Practice Program is all about micromanaging.” There’s a fair argument for that because there are lots of steps and processes I want to measure, there are lots more to it. I don’t want to micromanage what they do in their clinical things. They’re in their own room. They’re their own person. They do that. That will help guide them and everything else but they’ll operate within a very tight ecosystem on the processes and procedures. What we do when you have a structured practice, you have to leverage ordinary people with great systems. The majority of people, as much as I hate it, are ordinary. If they were superstars, they might have their own practice. They’re going to go all their different ways. Especially as you expand, the necessity to systematize becomes even greater because now you have twenty different minds instead of five different minds that you manage. Maintaining the system is absolutely necessary in order to continue to do things the way you expect them to be done and continue to do things that you know are successful actions. Which is why most experienced owners and most long-termers will probably, in a large case, prefer to employ relative new graduates. They leverage them with exceptional systems, training process and packages that hide their lack of clinical skill, until they get better at it because that I will lap up every system and process you teach them. What’s the pushback that you get from owners as you try to implement this or present it to them? What is the common feedback that you get or maybe the fear that owners present to you? It’s usually based on a team’s non-compliance and their inability to enforce the processes. It’s easy for me to sit here and say it’s not negotiable, if they didn’t do that, they’re out the door. That’s contingent, unfortunately, on available labor supply. If I got a practice in Alaska and the labor is skinny on the ground, am I going to be mad at someone because they didn’t do their new patient action plan? I’m going to be in a little trouble. It’ the consequence but I can leverage it in other ways. I can reward with bonuses. I can reward the positive behavior. At the end of the day, you have to work out what you’re willing to put up with. In my businesses, was I a tyrant? Possibly, but they also have a lot of freedom to do their own things. I was always open to them coming to me with ideas. That structure and system gave me freedom. If they call me a micromanager, then I can deal with that while I’m at the beach during the week I can handle it. Based on my experience and maybe yours as well, some of my biggest fears were holding my employees accountable out of fear that they might not like me and that they might leave. That was my biggest fear. How am I going to replace them? I’m going to have to deal with two or three maybe four to six weeks in trying to find somebody and train the next person. I’d rather hold on to that B or C grade player instead of letting them go if their values aren’t aligned and not following what I’m doing. This is all business ownership 101, you’ve got to ask yourself. In any businesses, the time you decided to be a business owner, you present this option to your team. Do you want to be liked or do you want to be respected? That’s the decision all health business owners make all the time. It is impossible. I see it where owners want to be best friends with their team members and it’s this buddy thing and that’s all fine if you can pull it off. Think about the inequality of the relationship. As the owner of the business, you decide their working hours, their pay rates, their holidays. You approve everything. You run their life, how is that a friendship? It’s very difficult to maintain that friendship and then you get caught up in disciplining your friend. I was always very upfront with my guys. I was available. I’m always into helping them out and you’ve got to be that. They went over at dinner a lot of the time and we’d have a Christmas party, but I wanted to make sure I could always have the difficult conversation. In your business, your business success and possibly your lack of success is based on the number of difficult conversations you’re willing to have. We’ve all got them. I’ve got clients that are having these difficult conversations with a team the admin person who’s just dropped the ball. This happens all the time. Do you want to be loved or do you want to be respected? I’d rather be respected and have the business that I want. Otherwise, I’m running a business that my team is determining. I don’t want to run my business out of fear, “What if they leave? What if they do that?” That’s prison for me. Run Your Practice: There is a better way. You’ve got to work at what it is and take some steps that are sometimes difficult to do. We always go internal systems first when we approach a business. The fundamentals of the One Minute Practice Program are largely internal systems. Marketing is one of the steps but it’s one of the last steps we do. We want to make sure we’re on top of our internal systems of action plans. We’ve got to know their numbers because one of the biggest problems we have are health business owners don’t know their profit and loss or their KPIs well enough. What I wanted to put into One Minute Practice is a system where we have a daily data entry section where the admin team looks at as one team member puts in the minute of data, which means at the end of the month, all one team member has to do is to put in their expenses for the month and I’ve got a working profit loss. This is where we fall out. We don’t know our P&L because our accountant doesn’t give us the numbers that we need to run the business. Accountants are fantastic, I’ve got a great accountant but I’ve never got a great P&L from them because their job is to make it look like I don’t make anything. They’ve got two jobs: to reduce my tax and to keep me out of jail. I can’t run a business on those numbers because you think about what you’re deducting. We’ve got the trip to Botswana that might have been a conference but we just went for the holidays. We’ve got the car. Whatever we can legally get away with. That doesn’t help you run a business. What I want with One Minute Practice was the down and dirty. What do you bill for the month? What are your billings? What do you pay and what are your expenses for the month? 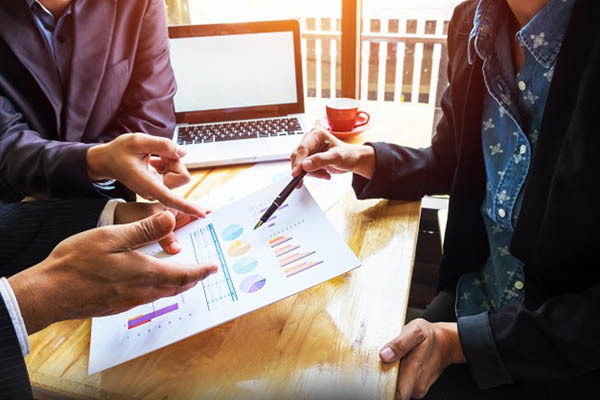 We want to know across the board what you are paying as a percentage gross on each of those key aspects of the business. What are you paying your admin? What are you paying your therapist? What are you paying for rent? What are you paying for expenses? What are your other clinic costs as a percentage of gross? If we know that numbers well-enough, we’ll have a certain amount leftover as a percentage, which is our profit. That’s a monthly report you do, right? Every month, but it takes ten minutes if you do it well and if you’re doing this daily data entry. All you do every month, you should be getting an analysis of why every month your billings should go in every day in daily data entry. At the end of the month, all my owners do is they go to their credit card or their bank statement or both of those things and they put in the real expenses. Not the car stuff, not the things that aren’t really down and dirty, just the expenses that’s exactly right to the business. If we bought a large item, we don’t put that in as a big item. We amortize it about twelve months. We at least have a monthly amount that we know that we can then compare it to the same month last year, the same month next year. We’ve got a working profit loss. It’s not your accountant profit loss, it’s the down and dirty profit loss. You can’t sell the business based on those numbers because that’s not real. I sold all of my businesses based exactly on those spreadsheets because that’s what the numbers are. It’s a hot market for buying and selling physical therapy. They want to know what you’re down and dirty numbers are without the cars and without the gym memberships. They want to know all that stuff and they want you to pull everything out in order to get to your true EBITDA. The other thing we’ve got to incorporate is the owner consulting wage. As the owner, what are you doing in the way of consulting? This is where it’s different. The accountant might allocate you $10,000 a month or something for your wage because that’s what you physically tie yourself. That’s a tax decision. That’s not what you would pay another therapist. I get my owners to work at each week. How many hours of physical consulting did I do? Multiply that amount by what I call the owner consulting wage, which is how much would I have to pay to get someone else to do that. That’s not what the accountant is saying you should pay. That’s not a physical figure, it’s an estimate. If I can find another therapist for $40 an hour, then I use whatever hours I did for the consulting and multiplied by 40. That’s my owner consulting wage. The challenge I have for a lot of owners is to show them that they can drop their consulting but still increase their profits. How do I show them that? We do One Minute Practice, we do our profit and loss. We have our owner consulting wage. When I start work with them, the owner consulting wage might be $7,000 depending on what we charge the data. There’s book out there that the less I do, the more I make. How can this business generate money to you that doesn’t rely on you? Once you run, the consulting wage becomes a lot smaller. You’ve got an entity that is a multiple, you can sell that easier. When I sold my business, they didn’t buy the job, they bought the lifestyle. Why does someone buy McDonald’s franchise? Not to flip burgers. They bought it because of the lifestyle that it should be able to provide for you because the systems are so good, and you can run it or not, you can do whatever you like. That’s why they’re lining up to get them. Who wants to buy a health business where you get there in the dark, work to light and then go home and do all the numbers? We don’t want to sign up for that. That’s the whole limit. How did I get here? How did this happen? There is a better way. You’ve got to work at what it is and take some steps that are sometimes difficult to do. You change the way you operate your business. That’s what I like about what you’re talking about. For me, as I summarize in my head what you’re espousing to is running a business by systems and statistics. It takes out all the emotion, it takes out all the subjectivity and it gets down to bare bones. Either those systems are being performed and successfully so thus resulting in better statistics or not. Is there anything else you want to share with us? The bottom line for you guys and this is health business across the board, you do a fantastic job, you provide a very valuable service. I believe you have a moral obligation to your family and to yourself to make this a life that you want. This is why you decided to open a business because there’s some entrepreneurial streak in you that made you open your business. It’s got to be a servant for you. If it’s not, you’ve got to change the way you do it because it’s not going to change. You’ll be a 50, 60, 70-year-old health professional and you’ll try and sell this business and it’s not worth anything and that will kill you. I like how you said that you make the business work for you, otherwise it will turn right back around on you very easily. The only role of the business is to sell it. Make it valuable. It’s not valuable if you’re it. It’s a job, you’re the boss. How do people get in touch with you? What are you up to here in the near future? What’s on your calendar and how do people contact you? What would be more appropriate than a book titled How To Run A One Minute Practice. It will take you less than 60 minutes to read it. It’s not a big time, but the fundamentals are in the books. If you go to OneMinutePractice.com, you’ll see a link that says Get Book. If you use the code, Nathan, that will take you to the national price from $19.95 down to $4.95. I will post that to you wherever you are in the world for $4.95. There is a lesson in what I did as well. The lesson is it will cost me more to print the book than to post it out. What are you prepared to do to get someone to communicate with you? What are you going to do to generate that lead? Go to OneMinutePractice.com, click on Get Book. Put in the code, Nathan, on the coupon code then that will drop the price. If you want to go to health business, my main website is HealthBusinessProfits.com. There are a lot of great free resources and other things on the site. You also see information on some of our programs. We launched the Ultimate Social Media and Online Advertising Package. We have the Ultimate Front Desk Training Package. We have the Ultimate Referral Training System Package which are done-for-you training systems. We send to you. You hand over to your admin team, to your manager, to your social media person and we bring it back to you completed. It was a done-for-you system. If you want to check out those and you’ve got to the site’s pages and have a look, we will do a special deal for Nathan’s people. If you send us an email, Admin@HealthBusinessProfits.com and say you joined this session, I’ll send you a coupon code for a deal on those. Get the book or find me on LinkedIn, Paul Wright Newcastle Australia. LinkedIn is my preferred social media platform. Thank you for all those offers. To have some done-it-for-you systems like that, that’s invaluable because they can take it, they can customize it. To have some of that structure already in place means they don’t have to use a lot of energy to do it. When we did the front desk, we did that whole day training in front desk because we don’t know how to train the front desk. It’s not our specialty as a professional. I got a guy who knows it back to front and we recorded the whole day. I said, “You give this over to your team member. They watch the videos, listen to the audio, complete the manual. It’s a 40-page manual. They bring it back to you completed.” I got a client who uses that as a recruitment test. He says when he’s recruiting his admin people, “Here’s our ultimate front desk training system, you have to complete that when you work with us in the first week.” If they say to him, “Am I paid to do that?” They don’t get the job. You want to be trained. You want to learn. When people will order this, will they get the Australian version or the American version? We’ve got Canadian clients, US clients, UK. These things are fundamental. It’s all the same, it doesn’t matter where you are in the world. There was nothing that you said that made me think that’s not applicable here in the States. Everything you said was exactly the same. It sounds like that you came up against the same issues that the American clinic owners are coming up against. You have to deal with the same things. 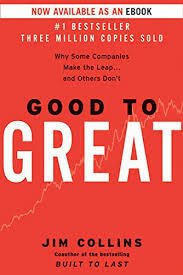 My episodes inevitably fall back to some of the same books you referenced, the Michael Gerber’s E-Myth book, Jim Collins’ Good to Great. Those books are constantly referenced to by everyone I talked to here in the States as well, so it doesn’t matter where you’re at. It’s a good start. It gives you an idea, it’s a principle. It’s a fundamental that the business is serving you, not you serving the business. A simple principle but has made a career out of that principle. That’s fundamental. Paul, thank you for the offers. I hope a lot of people reach out and take advantage of them. I’m happy to help out. It’s a big message. I wish I learned this at the university, I think we all do. It’s my absolute pleasure. Thanks. Paul has been actively involved in clinical education around the world having lectured to over 25,000 health professionals – in the areas of program design, injury prevention, rehabilitation and business development and even found the time to win multiple titles as a competitive bodybuilder.